“In case of diversion where approvals have been given by the DFOs (Divisional Forest Officers) but felling of trees has not been done, no felling of trees shall take place till next date of hearing,” stated the interim order given on Monday by the Bench comprising Justice Arun Mishra and Justice Deepak Gupta. In a step to ensure the protection of “the valuable and precious forests of Himachal Pradesh”, the Supreme Court, in an interim order, has put a complete ban on felling of trees in the state. The next date of hearing is April 1. Section 3(2) of the Scheduled Tribes and Other Traditional Forest Dwellers (Recognition of Forest Rights) Act, 2006 allows the government to divert forest land for facilities including construction of schools, hospitals, roads, among others, that involve felling of trees not exceeding 75 trees per hectare. However, the court order restrained the DFOs from exercising the powers under Section 3(2) of FRA, 2006 till April 1. “DFOs are restrained to exercise the power under Section 3(2) of FRA, 2006 till next date. Authorities to ensure that destruction of the valuable and precious forests of Himachal Pradesh does not take place in any manner whatsoever,” the order said. The order further said that there should be “no diversion of forest for any non-forestry purpose processed under FCA (Forest Conservation Act) regulations” till April 1, which is the next date of hearing. Among the orders was also one which stated that no diversion of the forest lands allotted to a Protection Working Circle in any Working Plan under FRA and FCA must take place till the next date of hearing. A ban on felling trees was imposed in the year 1996. 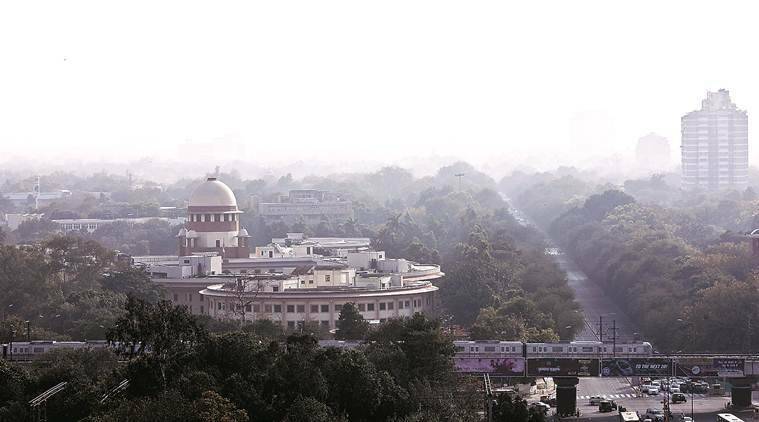 However, acting on an application filed by the state government seeking permission for felling of trees, in February last year the Supreme Court had permitted “silviculture felling” of trees in three forest ranges in the state – Nurpur, Bharari and Paonta ranges – on an experimental basis. The court had also appointed a two-member committee to oversee the felling of trees.